One of the country’s premier spine experts, Dr. Scott Katzman, M.D., and his award winning team of surgeons and medical staff, specializes in minimally invasive procedures and pain management, offering a comprehensive program that uses the latest in research, technology and treatments – from non-surgical treatments to gentle, minimally invasive surgery with an incision smaller than a postage stamp. Dr. Scott S. Katzman received his Bachelors of Arts degree from the University of California at San Diego in 1985. He attended medical school at Jefferson Medical College, graduating in 1989. He did his residency in Orthopedic Surgery at the University of Arizona and became Board Certified in Orthopedic Surgery in 1996. Dr. Katzman specializes in both minimally invasive spine surgery and laser surgery. He has been a clinical instructor for many well-known companies such as Biomet, Johnson & Johnson, Clarus, Kyphon and Orthocore. He has lectured throughout the world teaching and promulgating his techniques. Dr Katzman has been helping his patients with endoscopic and percutaneous discectomy since he was first trained in 1989. 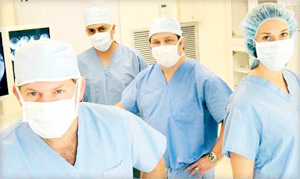 He has advanced his skills for last few decades in minimally invasive laser spine surgery and discectomy. He also performs spinal disc replacements and fusions with a very special technique that is gentle to the human tissue. So his patients are able to have outpatient surgery, including fusions and disc replacements. Dr Katzman has invented some of his own spinal implants. If your condition requires it, some of his specially designed implants may be used to help your back problem. In 1994, Dr. Katzman started his private practice in Fort Pierce, Florida. Today, he has offices throughout the state of Florida all specializing in minimally invasive procedures. Dr. Schapiro is a Board Certified Orthopaedic Surgeon. He received his Bachelor of Science degree from the University of Florida in 1994, graduating with distinction on the President’s Honor Roll for having a perfect 4.0 Grade Point Average. 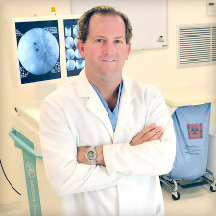 Dr. Schapiro received his medical degree from the University of Miami in 2000, graduating in the top 10% of his class and a member of Alpha Omega Alpha Medical Honor Society. 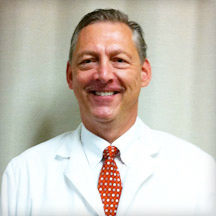 He completed his orthopaedic residency at Henry Ford Health Systems in Detroit, MI in 2005. Dr. Schapiro was awarded the Robert H. Frost, M.D. Memorial Award for Outstanding Research while a resident. He was inducted into Fellowship in the American Academy of Orthopaedic Surgeons in 2007. Dr. Schapiro is an Associate Clinical Professor of Orthopaedic Surgery at Nova Southeastern University in Fort Lauderdale, Florida and very much enjoys teaching medical students, physical therapy students, and residents in the fields of orthopaedic surgery, podiatry, and physical medicine and rehabilitation. 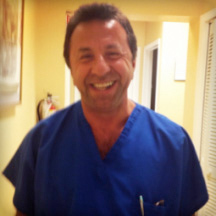 Dr. Schapiro was born and raised in South Florida and embraces the cultural diversity of the region. 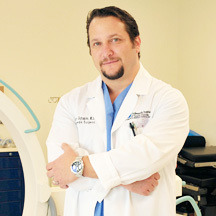 Dr. Schapiro specializes in minimally invasive surgical techniques and arthroscopy of the hip, knee, shoulder, wrist, and ankle as well as complex ligament reconstruction, joint replacement surgery of the knee, hip, and shoulder and fracture treatment, having received his trauma training at the premier Level I Trauma Center in Detroit. Dr. Jeffrey H. Oppenheimer received his B.A. from Cornell University in 1979. He graduated from Georgetown University School of Medicine in 1984. He did his residency in Neurosurgery at the University of Southern California-Los Angeles County Medical Center. Dr. Oppenheimer became a certified Neurological Surgeon in 1993. Dr Oppenheimer has specials skills in minimally invasive spinal fusions. He has spent decades mastering and perfecting his techniques to allow a patient to undergo outpatient spinal fusions for both the cervical and lumbar spine. He has been published in several medical publications and is a member in good standing with Congress of Neurological Surgeons, American Association of Neurological Surgeons, AMA and North American Spine Society. Dr. Oppenheimer currently services the following offices: Altamonte Springs, Ft. Myers, Jacksonville, Orlando, and Palm Beach Gardens. Medical School: Northwestern University. The Feinberg School of Medicine. Luciano Barletta PA.-C is a physician assistant who is accredited and licensed by the state of Florida. He is a member of the Advance for Physician Assistants Advisory Board and has been a participant in many activities and public outreach opportunities for educating others about spine surgery. Education and Experience: Alderson-Broaddus College, West Virginia: Bachelor of Science degree. The VA Center at West Virginia University: Post graduate studies included orthopedic surgery and medicine. Master’s degree in Clinical anatomy and a PhD in Medical science. Over 25 years of experience in orthopedics and spine surgery. 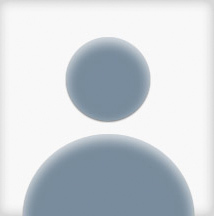 Lewjack was born in Nairobi, Kenya, and raised overseas until moving to the US at age thirteen. After receiving a B.A. 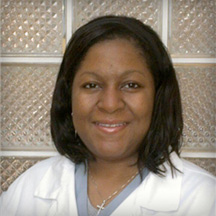 from the University of North Carolina, Lewjack attended Duke University’s Physician Assistant program, graduating with honors in 1988. He has 23 years surgical experience, primarily in orthopaedics, with research experience in evaluation and design of orthopaedic prostheses (knee, hip, spine, and shoulder) including biomechanics of the musculoskeletal system.